Matillion ETL for Snowflake is cost effective and easy to pay for via your existing AWS or Azure account. Delivered via the AWS Marketplace or Microsoft Azure Marketplace, you can launch Matillion ETL for Snowflake directly inside your existing console. When a Matillion ETL for Snowflake instance is stopped in the console, you are not charged. Hourly is ideal for proof of concepts, trials and projects where you do not need to use the instance all the time. 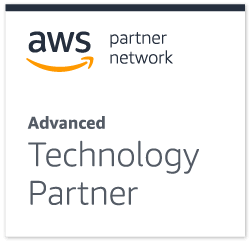 Annual customers pay a one-off discounted annual subscription via the AWS Marketplace, for unlimited use of the Matillion ETL for Snowflake instance. Annual subscriptions are ideal for production workloads, as it works out cheaper than running an hourly instance 24 x 7. Also where a direct relationship is required or valuable. Suitable for individuals, small teams or POCs. Suitable for teams of up to 5 and suitable for production workloads. Suitable for larger teams and larger or higher performance production workloads. You can upgrade your instance, for example, from a Large to an XLarge, at any time. For hourly users, simply change the instance size via your console. Billing will be adjusted to the correct rate. Your data (e.g. saved jobs, configurations, logs) will all be preserved. For annual customers, talk to our sales team who will walk you through the simple process to upgrade. You can upgrade in a few minutes. You may choose to use more than one instance, for example to support two separate projects, or an instance for development and another for production. Purchase extra instances as required via the AWS or Azure Marketplace, either hourly or annually. If you have a requirement for a large number of instances, or enterprise-wide licensing, talk to our sales team about an enterprise licensing agreement.